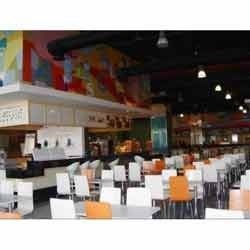 We have been successfully catering to the variegated demands of our clients through service of Food Court. With the help of dedicated and skilled team, we are providing outstanding Catering Services for weddings and parties of all kinds. Owing to vast network base and tie-ups with various reputed professional firms, we successfully provide the offered service for Birthday, Wedding, Anniversary or Cocktail Parties. Moreover, we are getting huge appreciations among our clients through price competitiveness.